RTI activist Suhas Haldankar who was murdered. "Another one bites the dust, another one bites the dust uh.. and another one, and another one". Apro dikro (our lad) Freddie Mercury's hit song from the 1980s is in real danger of becoming the RTI anthem for India. According to media reports, using RTI as a tool, Suhas had exposed several irregularities in the functioning of the Pimpri-Chinchwad municipal corporation (PCMC). At least one of the accused is said to be a former member of the PCMC and allegedly belongs to the Indian National Congress. Thankfully, the police seemed to have swung into action leading to the arrest of 11 of the accused. How much his activism was valued by the community was indicated by the fact that residents of Kharalwadi area observed a bandh soon after the murder came to light. 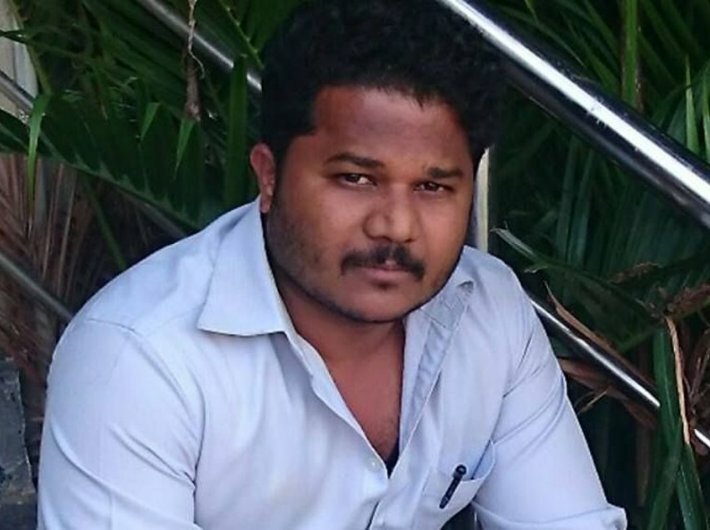 Condemning the incident, Commonwealth Human Rights Initiative (CHRI) has sent a complaint to the National Human Rights Commission to monitor the police investigation as Suhas was a human rights defender fighting for public causes. CHRI has also urged the Maharashtra State Information Commission to call for all pending RTI applications filed by Suhas and direct proactive disclosure of all information in the public domain in accordance with the provisions of the RTI Act. If the central government has its way, all RTI applications and appeals that Suhas may have filed with central public authorities would abate automatically on his death. The motives of the accused who battered Suhas to death with cement blocks would attain a pyrrhic victory and the national motto 'satyameva jayate' (truth alone shall triumph) would take a battering once again. Civil society actors have been demanding that the RTI Rules do not allow for the closure of appeals on the appellant's death. The union minister for personnel and public grievances (the nodal ministry for implementing RTI Act) recently pooh-poohed criticism of the Draft Rules arguing that the controversy is because of "lack of understanding of what the entire issue is all about". Of course people without formal training in law will not "understand the hair-splitting arguments about RTI Rules, Regulations and Guidelines and what the Supreme Court said to the Government and how the Government replied. What people understand well is "blood has been spilled on Vasudha (Mother Earth) for the umpteenth time". This is hardly vasudhaiva kutumbakam (Mother Earth as one family) or sabka saath sabka vikas (with all and development for all) – the pet slogans of the present political dispensation at the centre and in Maharashtra. What was the provocation for the murder? Suhas did not ask information about purchase of fighter aircrafts or what India was promising the visiting prime ministers of Bangladesh and Australia. He was highlighting the poor state of the civic administration in his area. He was "speaking truth to power". First the powerful tried to buy him out and when they did not succeed they threatened him with dire consequences. If Suhas had fallen for the candies they offered or given in to their intimidation tactics, he might have withdrawn his RTI applications and appeals. If Draft RTI Rule 12 proposed by the central government becomes law, every such action will get legitimacy. People seeking to expose corruption or maladministration will be threatened into withdrawing their appeals by vested interests. This is why civil society has been demanding that Draft Rule 12 be dropped entirely. Surely, this 'controversy' is not rocket science that any citizen, let alone a minister, would find it difficult to understand. Draft Rule 12 that seeks to permit the Central Information Commission to allow appeals to abate on the death of the appellant or for their withdrawal must be dropped without any delay. Currently, there is no law across India for protecting whistleblowers who are victimised for exposing corruption. Parliament approved the Whistleblower Protection Act in 2011. Instead of implementing it, the central government has pushed regressive amendments that will discourage potential whistleblowers from coming forward. CHRI has already critiqued these amendments. The amendment proposals approved by the Lok Sabha are pending in the Rajya Sabha. Neither the Whistleblower Act as passed by parliament nor the government's amendment proposals are designed to protect RTI users and activists from harm. The central government must withdraw the regressive amendments and bring in a fresh set of proposals to strengthen the whistleblower law to protect people who seek information in public interest or those who seek social justice or defend human rights. This must be done through a widespread consultative process that is credible. This is the need of the hour.